Today was magical - warm and sunny and it was a day that I was eagerly anticipating since my Isenberg School of Management student, Karen Li, whose concentration is Operations and Information Management, was presenting at the statewide undergraduate research conference at UMass Amherst. 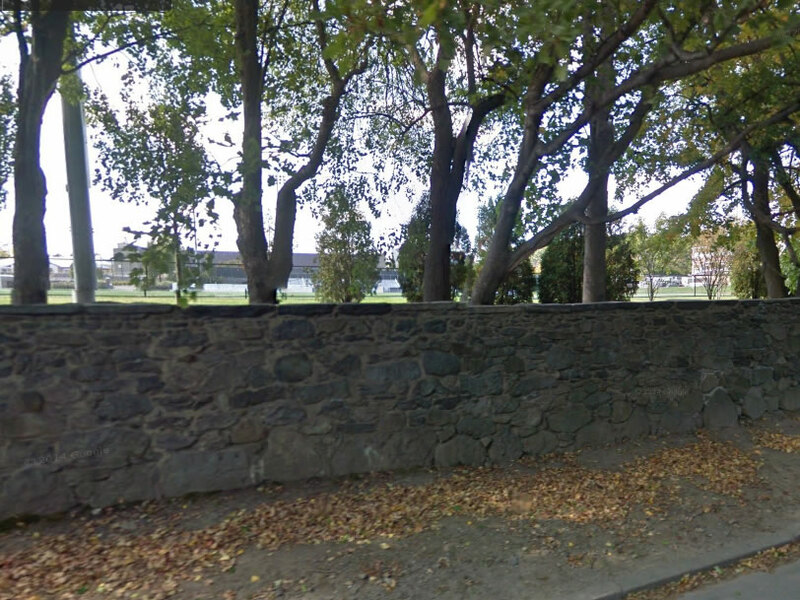 Karen is also a UMass Amherst Commonwealth Honors College student. This was also the setting for her honors thesis defense. Karen is a senior and is graduating in early May. 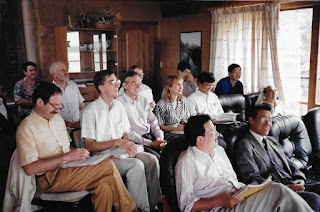 Karen has taken every course that I now teach, including my doctoral seminar. She became particularly inspired by my Humanitarian Logistics and Healthcare course, which she took as a junior. I first walked across campus and caught some lovely sights. The venue for the conference was the UMass Amherst Campus Center. I was delighted to get a program and even a badge. Karen had set up the poster on her thesis: Hospital Competition in Prices and Quality: A Variational Inequality Framework. Her thesis is just under 100 pages and I was extremely touched by the acknowledgments. I am the chair of her dissertation committee, along with my colleague in Operations Research from the College of Engineering, Dr. Chaitra Gopalappa. Not only did Karen's parents come to the conference and her defense but even one of her sisters came. Also many of her friends from UMass Amherst came to support her as well as one of my PhD students, Pritha Dutta. The passion that Karen has for improving healthcare in hospitals, from emergency departments, onwards, is extraordinary. Her thesis has already generated an article submitted to a journal and I suspect there will be at least one more paper. And, for another absolutely delightful surprise - her father was a classmate in Shanghai, China, of my first female PhD student at the Isenberg School of Management, Dr. June Dong! 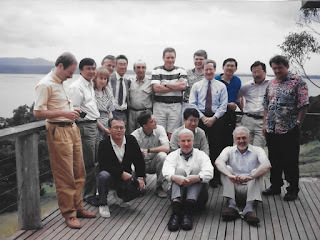 They had both studied systems engineering there. So he called her - she is a Full Professor at the School of Business at SUNY Oswego, and we had a wonderful conversation. Then it was time for the senior barbecue at the Isenberg School of Management, complete with the great cake below. Congratulations to Karen Li on an outstanding operations research and healthcare honors thesis and on a successful defense today. It is such a joy having such an amazing student who already has made such an impact on so many, from her work in Haiti, to her work as a supervisor for The Boltwood Project and as leader of a group of students that volunteer at the Center School for Crisis Intervention and Assessment in Holyoke for mentally disabled and physically challenged students. 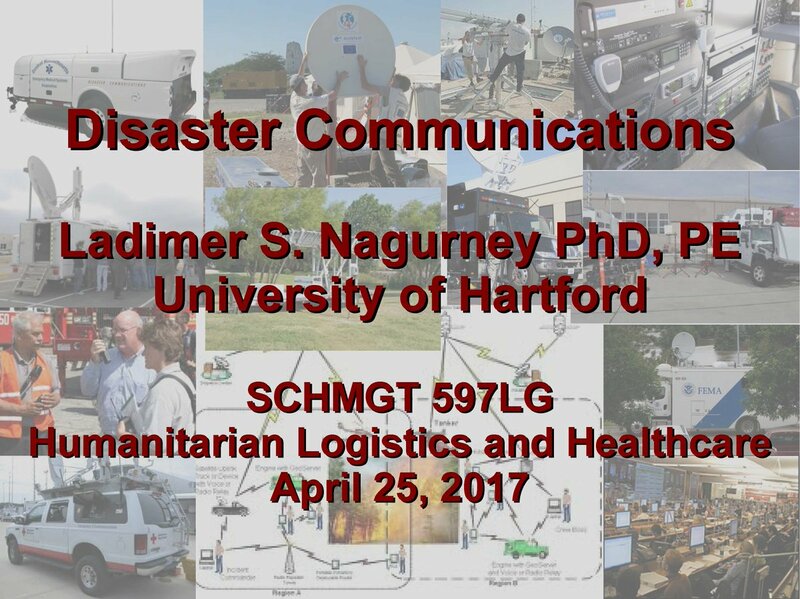 Yesterday, we were treated to a guest lecture on Disaster Communications in my Humanitarian Logistics and Healthcare class. Hard to believe that May 2 will be the last class of this semester (and academic year)! It has been a great experience teaching this class and a very important feature of the class has been the experts that I have brought in as guest speakers. 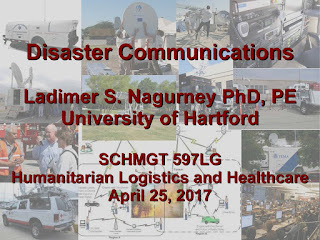 The guest lecture on Disaster Communications was given by the "other" Professor Nagurney. There is so much happening in terms of technology and disaster communications that the students and I enjoyed the lecture very much. In particular, with the contract given to AT&T to the tune of $7 billion for FirstNet, it will be very interesting to see how many states adopt this broadband network for public safety. I am delighted that the lecture slides have been made available so that anyone interested can benefit. There is still a tremendous amount that can be done in this area - note that the US and several other countries have yet to ratify the Tampere Convention, for example. Below are a few photos posted from the lecture. Thanks to Dr. Ladimer S. Nagurney, Professor of Electrical an Computer Engineering, for sharing knowledge about disaster communications with the class! Now I am looking forward to the students' team project presentations in the next two classes on topic ranging from electric power restoration post disasters to the Syrian crisis to the cold chain in disaster relief and even food distribution. We just returned from the March for Science in Amherst, Massachusetts, which many said was the biggest march they ever recalled in our great town. Marches for Science were planned in over 600 cities on 6 continents today. My husband made our signs - he is a Professor of Engineering and had the posts neatly nailed. We had received the notice about the march from a colleague at UMass Amherst, Dr. Barbara Pearson, and had also read about it in our local paper. If I had not been marching I would have been revising another paper and refereeing one for a journal; these activities could wait - the march could not. 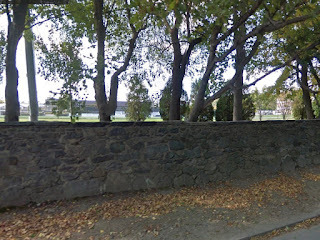 Below are some photos taken from the march which took almost 30 minutes for us to process from Kendrick Park in Amherst to our Town Common where a sustainability fair was taking place since it is Earth Day! What I found so impressive was the sense of community today and a true sense of purpose. Below are some photos taken of the March for Science in Amherst. Seeing colleagues from UMass Amherst and other colleges and universities, friends, and neighbors, along with many children and dogs, demonstrates how universal the importance of science is to us and our world. It was terrific to see Dr. Linda Slakey, former Dean of NSF at UMass Amherst, and NSF program officer, who gave a marvelous speech before we marched! It was also great to see my Operations Research colleague, Professor Erin Baker, and her husband, as well as to chat with Dr. Connie Daniel, a management professor and Isenberg School of Management PhD alumna! 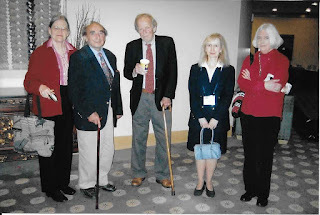 We also saw Professor Sigfird Yngvesson of UMass Engineering and my colleague, and fellow Ukrainian and lover of anything Swedish, Dr. Bogdan Propovych. Now it's back to research (and proofing two students' dissertations, whose committees I am chairing) with renewed energy and support and also fortified with the best cappuccino anywhere on the planet, from Amherst Coffee! Yesterday, I had the distinct pleasure of attending a Distinguished Faculty Lecture at UMass Amherst given by the experimental social psychologist Dr.Nilanjana "Buju" Dasgupta. Dr. Dasgupta is renowned for her research on implicit prejudice and her work has been recognized with numerous awards.She is a faculty member in the Department of Psychological and Brain Sciences at UMass. The title of her lecture yesterday: STEMing the tide: How female experts and peers act as "social vaccines" to protect young women's self-concept in STEM (Science, Technology, Engineering, and Mathematics." With such a title, I had to go to the talk plus Dr. Dasgupta is committed to making a difference in the world and her research is fascinating. Professor Dasgupta was introduced by our Provost, Dr. Katherine E. Newman. Her lecture was brilliant. She noted that females, by not majoring in STEM fields, which tend to be some of the most highly paying ones, end up with income inequality. Although females have the freedom to say no to STEM, are their choices really free? She began her lecture by thanking her husband, her sister, numerous colleagues, as well as students, including undergraduates. Her lecture was true to the press release (but that did not capture her eloquence, energy, and passion). She discussed how constraints can be lifted to allow students real freedom to pursue any academic and professional path, especially ones where their group is underrepresented. She highlighted results from a decade of research identifying people and environments in high-achieving academic settings that act as “social vaccines” to inoculate young women’s self-confidence, motivation and persistence, protecting them against negative stereotypes. 1. There is a need to increase students' contact with female faculty (we are speaking here of female students in STEM, in particular). 2. Colleges need to hire more female faculty in STEM. 3. Colleges must fund peer mentoring in STEM, beginning with students in their first year of college, since the benefits last over their college careers. Evidence for this was obtained from a study of engineering students at UMass Amherst and the results were clear and definitive. 4. Showcase successes of technical women in classes. This can be done through guest speakers and even having photos of successful females in your lecture slides! 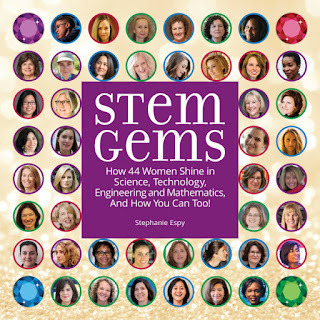 Here I was reminded of the STEMGems book, by Stephanie Espy, which features 44 females in STEM, to inspire young females. 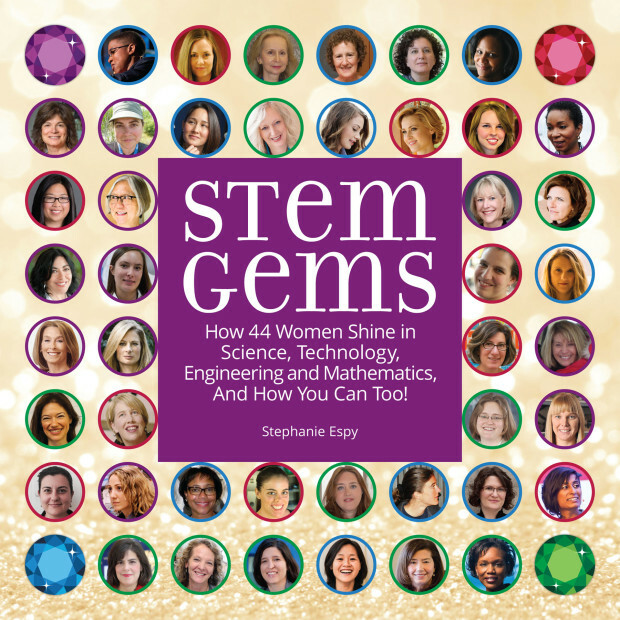 I was honored to be one of the 44 selected for this book, which I have given out to some of my PhD students, my daughter (she is a STEMGem), and nieces. 5. For classes involving teamwork (a big part of business education as well as engineering) pay attention to the gender composition. It is especially important to have females motivated in STEM and having confidence. 6. Timing matters - juncture points are especially critical - as when one matriculates in college or then decides on graduate programs. After her lecture she was awarded the Chancellor's Medal from the UMass Amherst Chancellor, Dr. Kumble Subbaswamy. Multiple times Dr. Dasgupta was recognized with voluminous applause from the audience. It was also interesting to hear her say that STEM majors are more likely to have a parent or sibling in STEM. The Q&A that followed was also excellent and demonstrated the interest from the audience in the topic. And, yes, there were quite a few males present, which was great. I never had a single female professor in STEM during my Brown University undergraduate days. When pursuing my PhD there in Applied Mathematics, with a specialty in Operations Research, I was drawn to Stella Dafermos, the only female professor in either the School of Engineering or the Division of Applied Math, in which she held joint appointments. She became my doctoral dissertation advisor and I her first PhD student. STEM was highly valued in my family and I always loved Math and saw it as the absolute truth. I will be graduating soon my 20th PhD student, and 10th female. I just returned from a very exciting event organized by the award-winning UMass Amherst INFORMS Student Chapter. 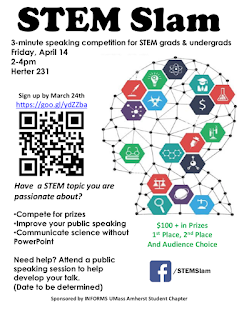 The event was a STEM (Science, Technology, Engineering, Mathematics) Slam in which undergraduate and graduate students could present their research in a 3 minute talk with only props that they could carry on to the stage. 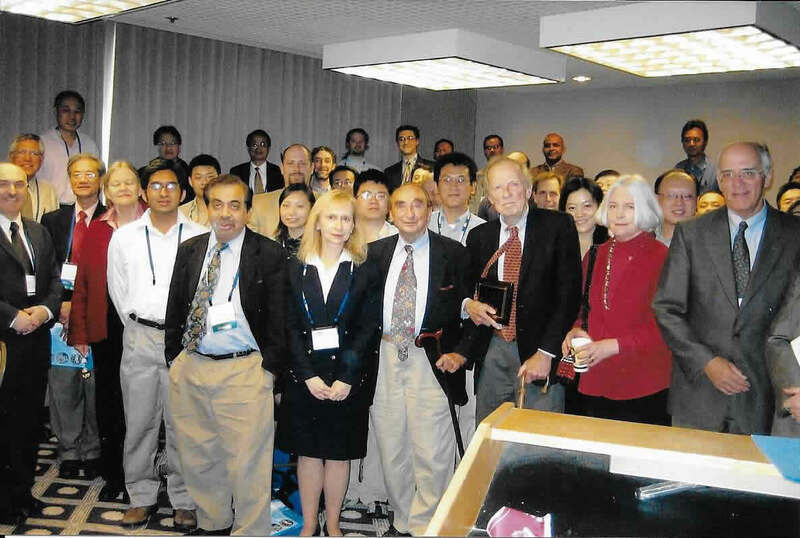 There were 3 judges, two student ones, and my OR/MS colleague, Professor Hari Balasubramanian. The student chapter officers did a spectacular job organizing this event which attracted speakers from numerous science and engineering departments at UMass Amherst. A big shoutout to Pritha Dutta, Ekin Koker, Deniz Besik, Amro El-Adle, Rodrigo Mercado, and Swaminathan Kandaswamy, with Destenie Nock, as the fabulous emcee, and Amirhossein Alamdar Yazdi assisting the officers! Below are a few photos of the speakers who spoke on fascinating and wide-ranging scientific topics such as AI and consciousness, the preservation of food nutrients in outer space, reducing traffic congestion through cooperation, antibiotics and resistance to them, what causes butterflies in your stomache, RNA, rocket science, and even math modeling. All thirteen speakers were recognized with a nice slide. Props included an orange, a balloon, emulsions, and some bottles. Pizza and donuts were provided to fuel the speakers and the audience, which also voted for their audience choice award recipient. While the votes were being tabulated, which were done with a nice Excel spreadsheet, there was a very entertaining trivia segment in which audience members who answered the questions posed by Destenie Nock correctly earned prizes. In addition to the audience award winner, there was a first place and a second place winner. All presenters were given certificates and we took the nice group photo of the speakers, judges, officers, and friends, below. 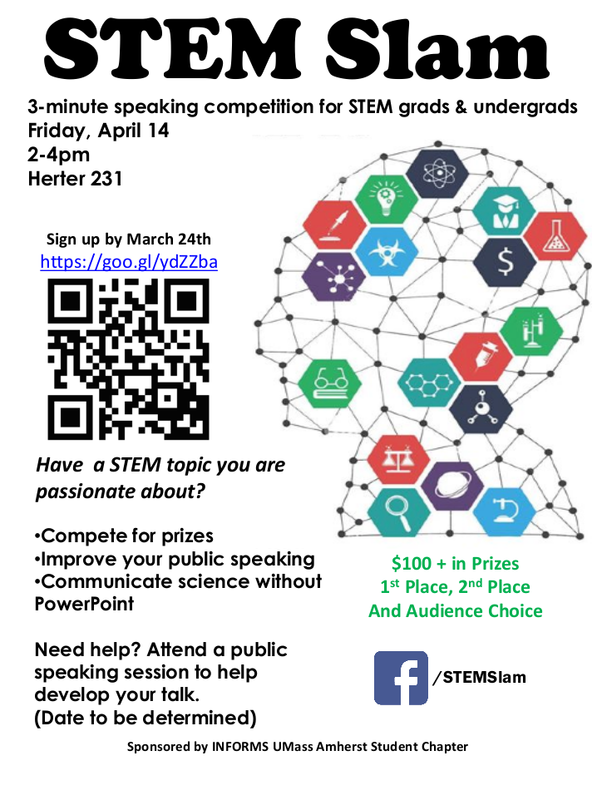 Congratulations to all involved on a wonderfully organized scientific event that showcased the importance (and fun) of public speaking on your scientific research! Thanks to the hard-working, creative, spirited, and super enthusiastic UMass Amherst Student Chapter Officers on the success of this event that will be hard to top and that was intellectually rewarding and great fun! Bravo to the terrific UMass Amherst Student Chapter Officers for the magnificent team-work and attention to detail! You are all operations research stars!